This statistic provides information on in-store mobile wallet usage in the United States as of December 2017. 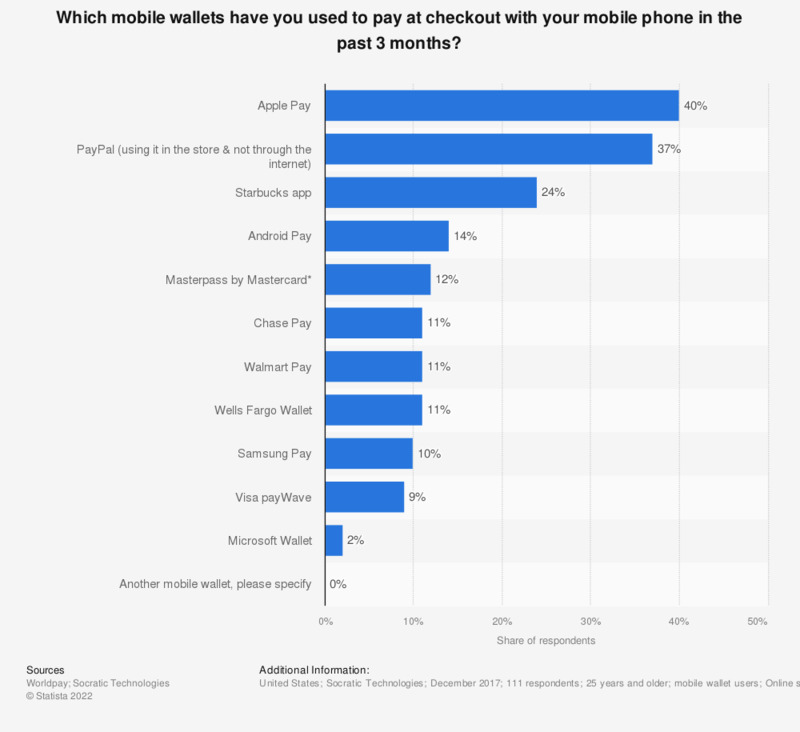 During the survey period, 14 percent of mobile wallet users stated that they had used Android Pay to pay at an in-store checkout in the past 3 months. Everything On "Apple Pay" in One Document: Edited and Divided into Handy Chapters. Including Detailed References.